Cotton Bowl Speedway from the sky. You can see the pit in the top-right (which is absolutely amazing), the race support crew can be found in the middle of the track, and you can see the main grand stands and concession stand to the center-right. It's important for me to be clear right from the first paragraph: I understand very, very little about dirt track racing. Like, I get that there's a winner and multiple losers. I get that there are different classes of cars, and that there are different skill-levels of drivers. But, beyond that, I don't understand why there are multiple races in the same night. I don't understand how points are measured. I don't get why some tires are best for dry dirt versus wet dirt, or how one track is different from another. So, please, don't hold me accountable for anything said below that offends your far greater knowledge of the sport, but feel free to comment and help me understand this badass sport more! 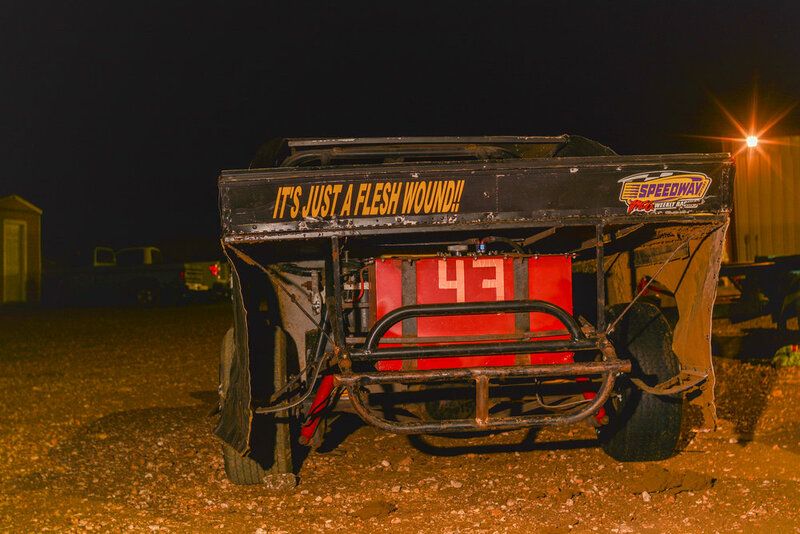 This blog post is an extend photo appreciation of the amazing sprint cars, drivers, and spectators on display. 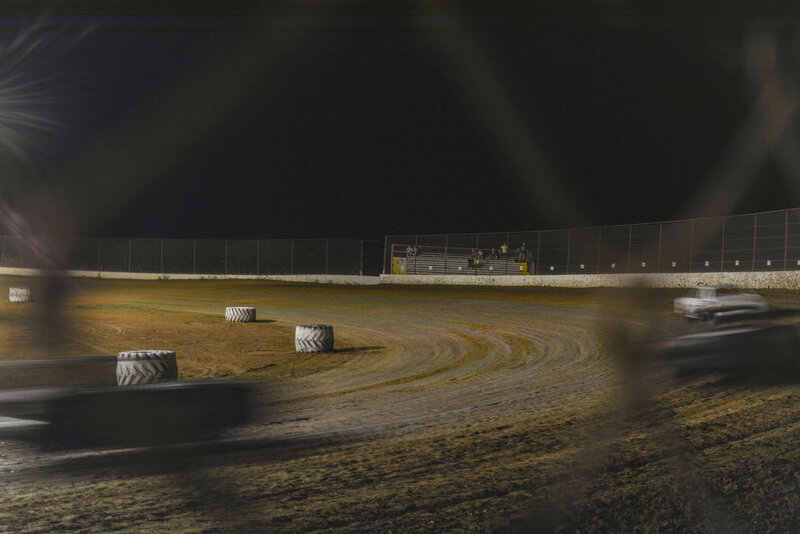 In the way that most people who live in or near the country go to sleep in the summer to the sound of cicadas, growing-up in Bloomington, Indiana, on Saturday nights in the summer we would try (unsucessfully) to go to sleep to the sound of sprint cars racing the Bloomington Speedway. Our home was close-enough to the track that the engine noises came through our closed windows giving the sense that the races were in our back yard. I didn't necessarily "like" the speedway and I definitely didn't appreciate it. Just as browning leaves indicate the coming fall, in our household summertime officially began when the races shook our windows. 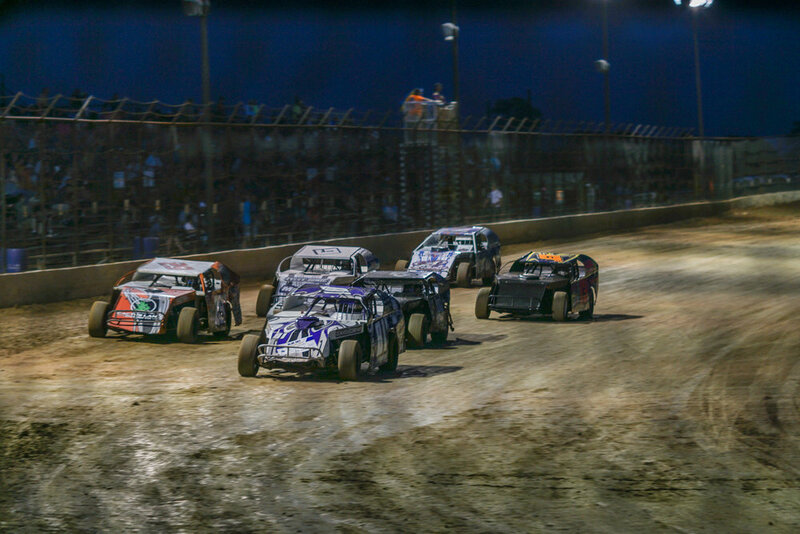 It was only when I got to college that I realized how awesome Bloomington Speedway was. It was when a couple friends and I went and hung out in the Bloomington Speedway parking lot and waited long-enough until admission was free and we could walk in. 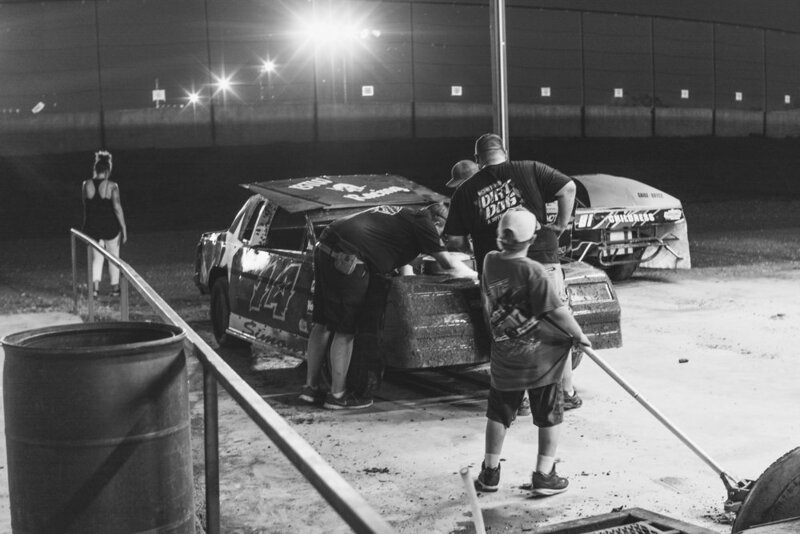 It took a while to understand but it became clear that getting a race car to the track was a family and friend affair. It's this beautiful weekend warrior pursuit for a lot of older drivers, and for the younger drivers it often seems to be a rite of passage. Cars regularly trade hands between drivers and families. For some, car racing is just the next step after dirt bike racing. Tires and fuel are bought and traded in the pit. Repairs, engine rebuilds, welding, everything is handled in the pit between sprints. And, almost all expenses are covered out of pocket. It's truly a labor of love. After a bit of research I found this fantastic dirt track that has racing nearly all summer long and it's just an hour east of Austin. 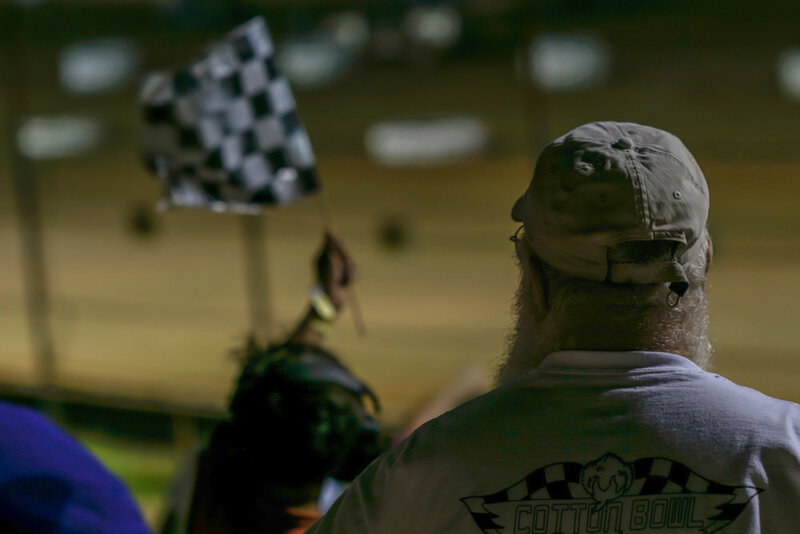 It's a magical little race track in Paige, Texas, called Cotton Bowl Speedway. 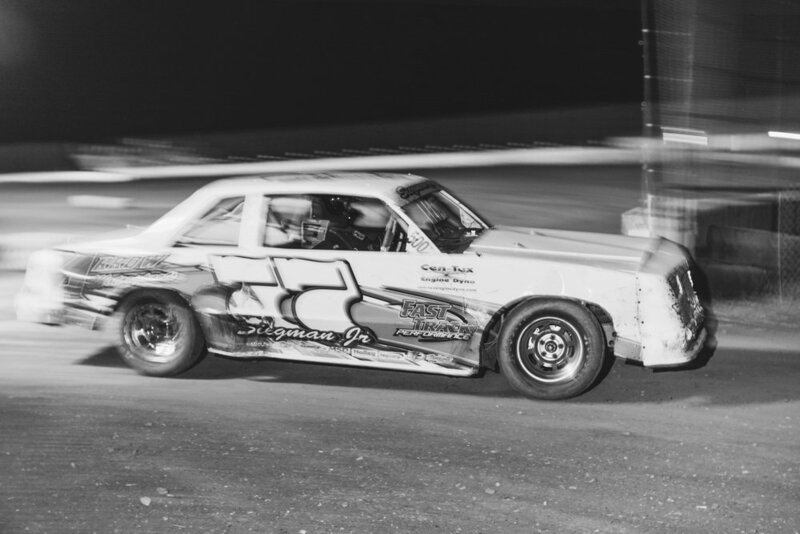 My love of racing that was sparked in college 12 years ago was instantly rekindled in just the first couple of moments at the track when the engine noises made my heart vibrate and dirt got kicked up into my contacts. I just love it and I love being around it. 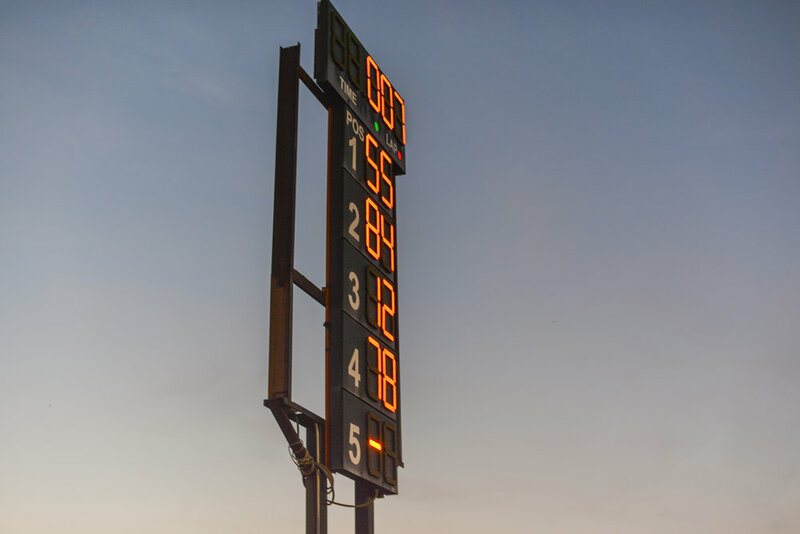 Even on the sidelines, 50 yards away from the track, you can feel the engine noises in your chest. You get hit by dirt and it messes-up your contact lenses (and your camera lenses). If you purchase the "Pit Pass" you even get to see all the last-minute repairs up close. You see kids pumping gas and rolling tires, drivers joking with other drivers about putting a screwdriver into their tires, and drivers getting a hot dog before their next race. It's just magic and I couldn't recommend a trip to the Cotton Bowl Speedway more!